After starring in two not-so-super superhero movies (hey, not many people want to remember Green Lantern or X-Men Origins: Wolverine 'round these parts), Ryan Reynolds compensated by playing two characters in the decidedly stellar Deadpool 2. 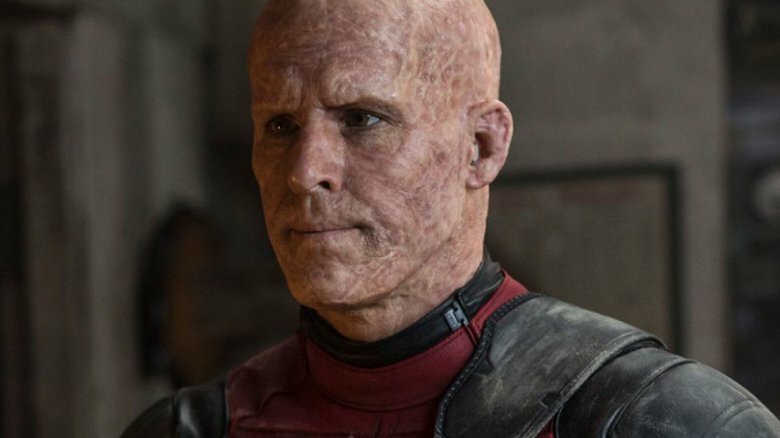 The strapping Canadian reprised his role as the sharp-tongued, violence-loving Wade Wilson and took things one step further by lending his voice and doing facial motion capture for Juggernaut, the mutant with rippling muscles, superhuman strength, unstoppable momentum, and a mental attack-proof helmet. Well, the digital release of Deadpool 2 has changed at least some fans' perception of what took place at the very end the film by revealing the Juggernaut's fate: he actually — miraculously — survived the brutal events of the sequel. While many eagle-eyed moviegoers caught this before leaving the theaters, there were plenty more who may have blinked and missed it. Fortunately, the fine folks at CinemaBlend started up the home media release and definitively spotted that the last moment of Deadpool 2 features Juggernaut pulling himself out of the pool. He may not be in tip-top shape, and everything around him is in complete ruin, but he's definitely still alive. The Breaker of Stone lives! The indomitable monstrosity will see another day! All who doubted his grit, tremble at his massive feet! Or, you know, check out the proof that Juggernaut survived Deadpool 2 in the photo below. That Juggernaut made it out of Deadpool 2 alive is pretty exciting. It's also incredibly satisfying when remembering how much effort Reynolds exerted in bringing Juggernaut to life and keeping the role a secret — from both the general public and the people involved with the film. Reynolds kept his gig under such tight wraps, not even Colossus star Stefan Kapičić knew the actor was portraying Juggernaut. According to Kapičić himself, the pair spent a lot of time together on the Deadpool 2 set, making Reynolds' secret-keeping all the more impressive. "I didn't know who was going to be doing the voice of Juggernaut," Kapičić told The Hollywood Reporter. "Ryan is always there when I'm working on Colossus, helping me with the lines and giving me ideas. Then I saw Ryan getting into the CGI costume, and I'm like, 'What's going on, man? Did I miss something?'" Just after Deadpool 2's release in May of this year, co-screenwriter Rhett Reese revealed to CBR that he and the sequel's team committed to including Juggernaut in the film "pretty early on" in development. "He's never been done justice until now," Reese said, likely referencing the — ahem – interesting version of the character Vinnie Jones played in Brett Ratner's X-Men: The Last Stand. "We always wanted to see a CG Juggernaut, so we finally got that. We also really needed to balance the scales in act three, between Deadpool and friends and little Firefist [also known as Russell, played by Julian Dennison] who has cool powers, but we needed to make it a fair fight. What greater force of nature than Juggernaut?" With Juggernaut alive but probably not kicking just yet, there's a chance the mutant will make another appearance in a future Deadpool film or in the overall X-Men movie franchise. As CinemaBlend notes, fans likely won't catch a peek of him in X-Men: Dark Phoenix (which might go without the "X-Men" label) or The New Mutants, but director Drew Goddard's X-Force movie seems a nice place for Juggernaut to potentially reemerge. Reynolds did once express uncertainty about a third Deadpool movie actually happening, although we'd be surprised if one wasn't put into motion after Deadpool 2 raked in $733 million worldwide — a profit of more than $620 million when factoring in the film's production budget. Deadpool 3 featuring Juggernaut? We can get down with that. Director Leitch seems to dig that hypothetical as well. He previously told CinemaBlend in a separate interview, "I think there's ground in the future to really expand on his powers … I do look forward to in future installments, if they want to bring him back, to watch him wreck some s***." While those post-credits scenes featuring Deadpool-hopping-through-time might make a Juggernaut recurrence an impossibility, for now, fans can simply kick back and bask in the joy of knowing Deadpool 2 didn't completely kill him.